It sounds like cats in England are no different from cats here in New Zealand!! They are our superiors. 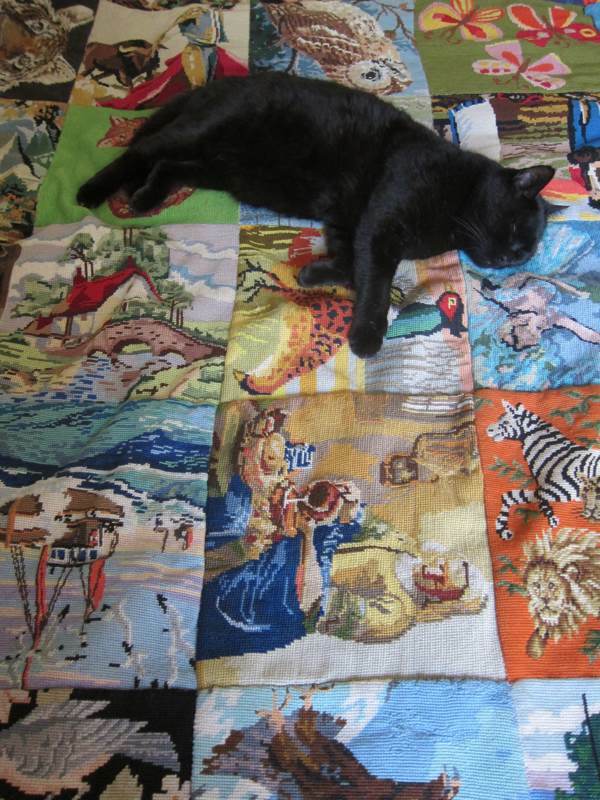 Am loving the background, is it a quilt and is it tapestry? 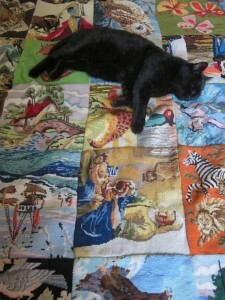 Have photos of our cat residing on a partially made fairy quilt and looking so innocent.